The greatest “myth” among teams is that “good teams get along.” Nothing could be further from the truth! As I like to say, good teams are ugly in appearance with all kinds of conflict. Good teams thrive on resolving conflict and disagreements. Think about it; why would you want a team involved if there were no disagreements? 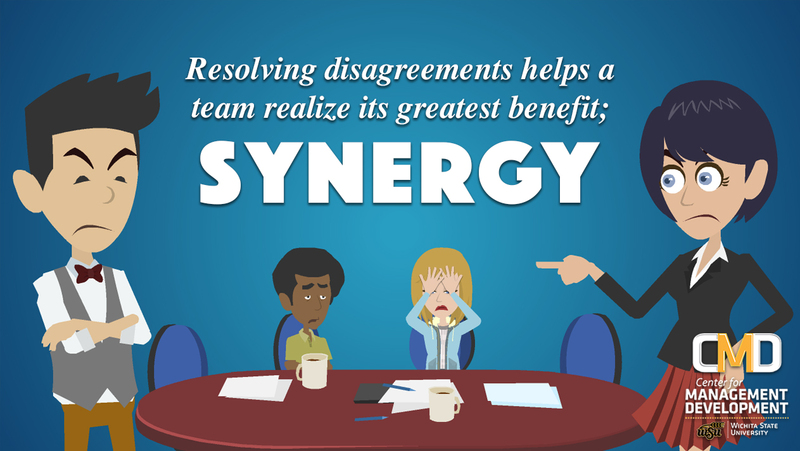 It is through resolving disagreements that a team attains its greatest benefit; synergy. Synergy is defined as “the whole becomes greater than the sum of its parts.” In laymen’s terms, it means productivity in either physical or decision making activities. But, if disagreements are viewed as negative behavior, the team will rarely disagree and a ‘tea party’ is the result. We become confused about the role conflict plays in a team because there are three types of conflict, two of which are not healthy for the team. First, as mentioned above, generate all the good conflict (above board disagreements, resolved through data and rational) as your team can muster. The two undesirable types of conflict, personality and hidden agenda disagreements, should be driven completely out of your team. Regarding personality disagreement, you will never fully eliminate (nor do you want to) differences in personalities that result in conflict. You just don’t want personality differences interfering with the team’s execution. You know you have personality conflict when you hear one say, “I just can’t work with them. They’re too different.” Don’t accept that premise. Professionals learn to work around personality differences. Rookies take the easy way out and form cliques or become non participators. Let them know they need to learn how to play in the sandbox together, period. The second unhealthy conflict is the use of a hidden agenda. When you find one or more team members are driven by self-interest and hidden agendas, you must confront them and let them know that such behavior is destructive to the team. If it persists, and coaching doesn’t work, your team leader needs to move to discipline. Allowing hidden agenda reduces the trust among team members and trust is the glue that holds the team together. In summary, encourage disagreement over data and rationale among your team mates; but, understand that personality and hidden agenda are not acceptable behaviors among team mates. If you’re interested in learning more about the dynamic of teams and teamwork, take a look at our class on How to Become a Better Team Member. The Center for Management Development offers a variety of certificate programs for those interested in Wichita leadership training. We also offer onsite training and certificate services throughout the state of Kansas and the country.